The FBI Violent Crime Task Force needs the public's help identifying and locating a man dubbed the "Routine Robber." He struck the Comerica Bank in north Houston last week; his third bank robbery in the last five weeks. Crime Stoppers of Houston is offering a reward of up to $5,000 for information that leads to the identification and arrest of the robber. The latest robbery occurred at approximately 11:54 a.m. on Thursday, March 28, 2019 at the Comerica Bank located at 855 FM 1960 in north Houston, TX. 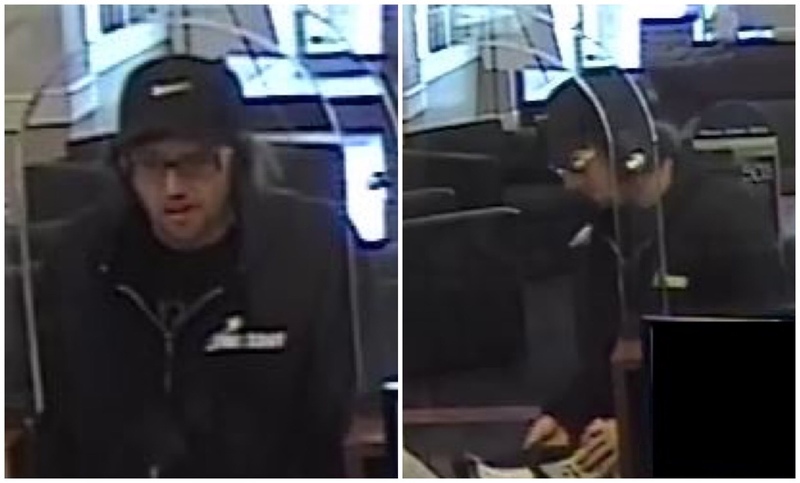 The robber is also suspected of hitting the Chartway Federal Credit Union located at 4373 FM 1960 twice, on February 23 and again on March 13, 2019. The suspect entered the Comerica Bank, approached the counter, and handed the teller a threatening note demanding cash. The suspect fled on foot with an undisclosed amount of money. No one was physically hurt during the robbery. The suspect is described as a white, skinny male, approximately 5'7" tall, with black chin-length hair. The suspect wore a black hooded sweatshirt, a black baseball cap, and prescription glasses. During all three robberies, the suspect carried a grey laptop case. Crime Stoppers of Houston is offering up to $5,000 for information leading to the identification and arrest of this robber. If you have any information, please call the Crime Stoppers tip line at 713-222-TIPS (8477) or the FBI Houston Field Office at (713) 693-5000. Tips may also be submitted to Crime Stoppers through their website, www.crime-stoppers.org, or the Houston Crime Stoppers mobile phone app which can be downloaded for both iPhone and Android devices.